So everyone who’s ever read and loved science fiction has read and loved Ender’s Game by Orson Scott Card. My friends who have read and loved science fiction also were true to their responsibility to push this book to everyone, particularly people who are curious about the said genre. Particularly, me. But a little commercial first: I’ve always thought that I never read any science fiction book in my entire reading life. But it turns out, one of my favorite young adult series growing up was science fiction: Animorphs by K.A. Applegate. Five kids and one alien with the power to morph into any animal they touch against an alien race of parasite slugs set to invade the world? If that is not science fiction, I will eat my hat. And so Ender’s Game. It was duly recommended, but for some reason a copy eluded me until my friend Monique found one for me. Of course, as luck would have it, I end up seeing copies of the book everywhere after I got the copy. But anyway! Of course, it takes me another year to read it, but I don’t really think it matters now. The Wiggin children, Peter, Valentine and Andrew aka Ender, were all candidates for the soldier training program in their childhood, but only the youngest, Ender, makes the cut. Ender has always been distant with his family so joining Battle School wasn’t much of a difference in his young life. Ender’s skills made him a leader in Battle School, admired and hated at the same time by his classmates. But Ender’s brilliance in the Battle Room had a price — isolation, loneliness, and the fear that he is becoming like his older brother who he despises. But there are secrets around Ender’s training, secrets that could very well mean the survival of the human race in a war against an alien race for the last hundred years. Here’s one thing about Ender’s Game: it’s so readable. I’m initially apprehensive of reading science fiction (and high fantasy) novels because I’m afraid of not being able to fully immerse into the world. 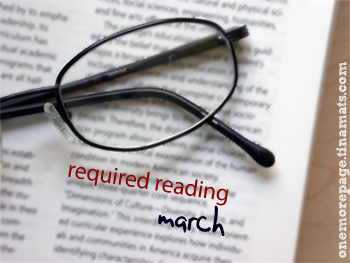 If it’s not very obvious yet, I’m really a contemporary reader and most of the books I read are set in the real world, so reading something set in a different world, or set in the future is quite a challenge for me. 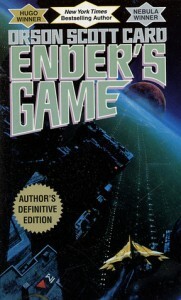 Orson Scott Card made Ender’s Game very accessible, though, and it was easy enough to understand what was happening in Ender’s world. Oh, I didn’t really understand much of how the Battle School worked, or the space travel later into the book, but I had a pretty okay grasp with it early in the story, so reading it slowly became a breeze. I loved the military set-up over the sci-fi aspect. People say this is really more of a military novel, and I kind of agree with that. Reading this reminded me of those Citizen Army Training days back in high school, where we’d practice rifle drills and do other activities during camp, like Search & Destroy and Escape & Evade (I hate the latter, btw). I liked reading about the strategies and the platoon (toon) set up and the promotions. I love reading about the war games in null gravity — it made me wish that laser tag games here were done in the same environment! I would probably be the first to be frozen in that, but it would be so much fun. It was fascinating to see how Ender came up with strategies to confuse his enemies in the games and wonder at how he was able to see it and make it work. And there isn’t just the military thing either. The political aspects of war — in space and on earth — were discussed, too, and it makes readers see that some well-placed words said (or written) on a platform can be enough to start a war. A bit of suspension of disbelief might be in order for the part of the novel is needed, but if you can believe that a six year old is the hope of the world against an alien race, then believing that part should be easy enough. Poor Ender, though. I keep on forgetting that he was just a kid (six years old at the start of the novel) as the story progressed. He always seemed older, especially with all the military school talk. Ender’s fighter qualities were admirable and oftentimes scary, but it was hard not to root for him in the story. I sympathized a lot with Valentine, Ender’s sister, with how she cared for him because I wanted to take care of Ender too, and keep him a kid longer because he deserved to be one. I also liked Ender’s friends, too, especially the ones who were with him at the end. There was this one particular scene that really made my heart swell with happiness for Ender that involved his friends, and it shows that true friends are those people who are with you in your darkest hours. I hate admitting that I like Ender’s Game because I find Card’s views on gay marriage reprehensible. BUT OMG IT IS SO READABLE. Like, I am not a science fiction person at all, and so I just LOVED Ender’s Game and ate it up with a spoon, especially all the tactics and simulations. And the interactions between his siblings – Peter and Valentine. Peter scared me a bit there — a real psychopath! But I love how easy it was to read, and I really, really wanted to try doing their game in null gravity. :D I hope the movie does the book justice! Yep, I’m not a big sci-fi reader either but I found it really easy to get into this one and I fell in love with it. Can’t wait for the movie, I hope it won’t be disappointing. I also liked where Ender’s Game ended so I haven’t read the sequels but I’ve heard that Speaker for the Dead is just as good.